Protecting a high-demand resource with name-brand recognition like “The Grand Canyon” results in limited availability… bummer for the late-planner sometimes. You can always plan for the next year, or learn about a great “plan B”. 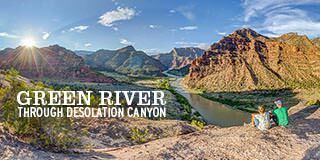 Plan B: When The Grand Canyon “runs out” each season, and people still want to do a trip similar to the Grand Canyon experience of spectacular grand scenery combined with wild whitewater rapids, we tell them (without hesitation) that Cataract Canyon, just upstream of Lake Powell, is the most like a Grand Canyon trip you’ll ever find. 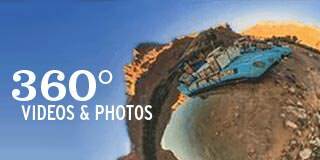 – an excellent “look and feel alike” alternative to a Grand Canyon trip. Why does the Park Service limit the amount of travel in Grand Canyon? 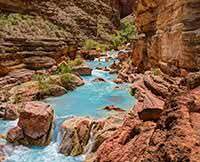 The Colorado River Management Plan (CRMP) designed over the years by the National Park Service, in coordination with river outfitters such as ourselves, regulates the flow of traffic at any given time in the Grand Canyon. 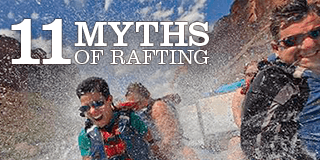 There’s a pretty good balance of regulation and freedom going on, after years of careful work on all sides to protect the canyon itself, and the experience within the canyon for all types of rafting groups. Cataract Canyon is not as highly demanded or recognized yet, and therefore you see less restriction and regulation needed there, at this point. Ready for a story? There was a time when a different kind of “regulating the flow” resulted in a Grand Canyon plan turning into a Cataract Canyon Trip. The year was 1963. A lonely ranger station shack sat near the narrow road somewhere near Lee’s Ferry, and occasionally there was a ranger in it. River runners were pretty rare back in ’63, and trips were run pretty differently back then. Thevinin: “What’ve you heard about when they’re gonna put the stoppers in up at the dam?” (The newly constructed Glen Canyon Dam, just 15 miles upstream of Lee’s Ferry was ready for operation – to start forming what would become Lake Powell). (NOTE: Typical flows since the lake filled in the 1980’s range between 8,000 – 18,000 cfs). Paul cranks up the old truck again, and they lumber down to where the road meets the water at the Lee’s Ferry boat ramp. They rig the boats; guests and guides working side by side lashing frames to rubber boats… this was only going to be the second or third commercial venture for Western down the Grand Canyon. 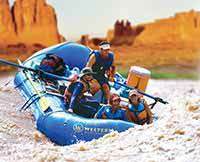 Western had been rafting rivers in Idaho, Utah, and even first descents down El Sumidero and the Grajalva Rivers in Mexico (now buried under a reservoir). This was not their first attempt down the Grand Canyon, but perhaps the first or second with paying guests. They were looking forward to a solid trip into the “Big Canyon”. Full of anticipation, they pulled out into the current and floated peacefully toward the first riffle of whitewater known as Paria Riffle, just 400 feet or so downstream from the boat ramp. Starting into Paria Riffle, they see the ranger bounding over boulders and down the wet sand, waving his arms wildly, trying to get their attention. Alarmed at his intensity, they plied at the oars to bring the large boats ashore and see what was the matter. Ranger: “Can you make it down on 300 [cubic feet of water per second]?! To their disbelief, the water was already some twenty feet behind the back of their boats that they’d just tied ashore. Rocks and boulders were growing up out of the water right before their eyes as the water continued to drop. 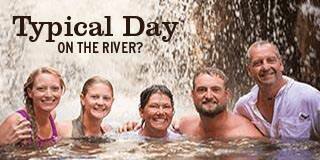 Ready for a neat trip down Cataract Canyon?